Romney Has 2-Point Lead Over Obama As Gallup 'Tracking Poll' Begins : The Two-Way For those who can't get enough of polls about the presidential election, Gallup has fired up its "daily tracking" survey that will follow the levels of support for President Obama and presumed GOP nominee Mitt Romney. For those who can't get enough of polls about the presidential election, Gallup has fired up its "daily tracking" survey that will follow the levels of support for President Obama and presumed GOP nominee Mitt Romney. Republican presidential candidate Mitt Romney on Monday in Boston. 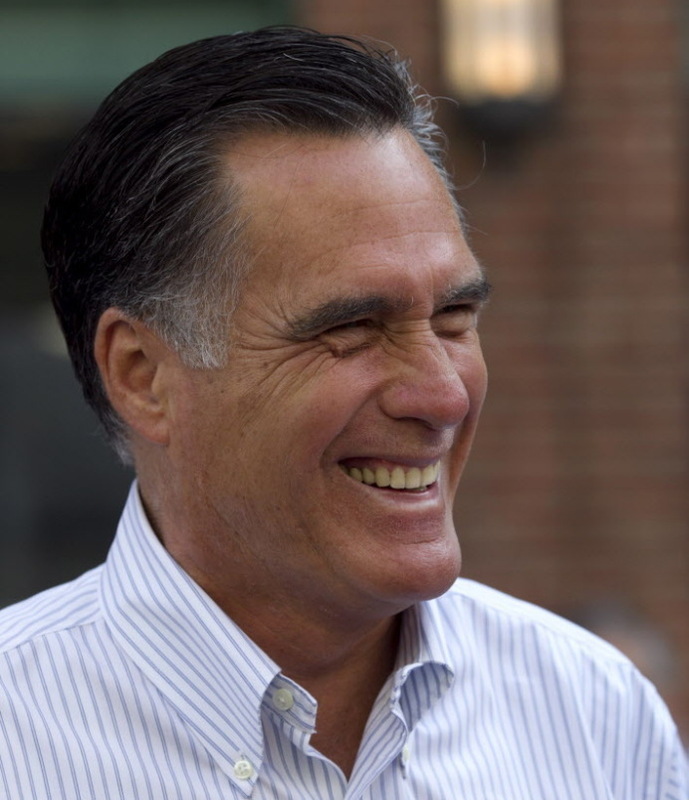 -- Romney's support among registered voters at 47 percent. -- Obama's support among registered voters at 45 percent. Those figures are based on "five-day rolling averages ... [of] interviews with 2,265 registered voters." The margin of error on each result is estimated to be +/- 3 percentage points. 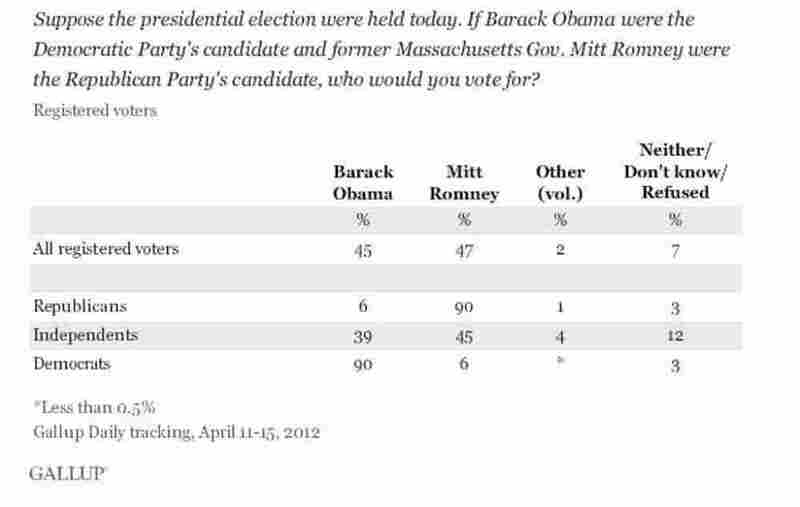 So, Romney's support could be as high as 50 percent or as low as 44 percent. Obama's could be as high as 48 percent or as low as 42 percent. Gallup doesn't begin issuing reports about "likely voters" until closer to the November election — when, it believes, it can say with more confidence just who the "likely voters" are. Correction and Clarification at 6:30 p.m. ET, April 18: We should have said earlier that Gallup has "95 percent confidence" that the margin of error is +/- 3 percentage points, not that it has such confidence in the 47-45 figures. We've corrected the post above. Pollsters from Gallup and other such organizations will tell you, however, that their experience tells them that the figures they publish — in this case, the 47-45 results — are as close to accurate representations of current public opinion as possible. Such figures are also, of course, only "snapshots" in time. They are not projections of what will happen months from now.